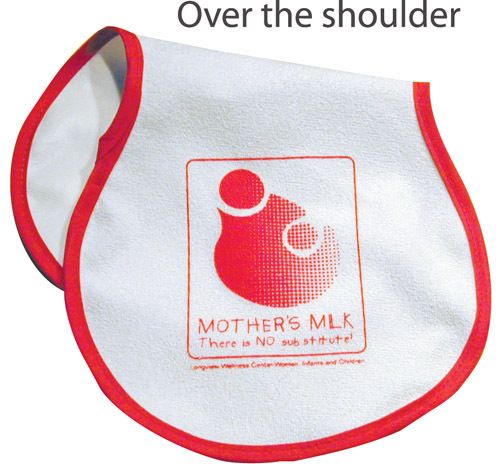 The Burp Pad is a great giveaway item for healthcare events and as part of a New Parent inches gift package. This 9 1/2 inches x 17 inches accessory features white terrycloth and includes a vinyl back. Make this a smart business investment by imprinting a personal message or your company logo through the printing capability. Given the frequency of feeding time for infants your brand is bound to be seen time and again!